On Tuesday, a Hyderabad court convicted two among the seven accused Indian Mujahideen operatives in the 2007 twin blasts case, that left 44 people dead and 68 injured. On August 25, 2007, blast at a popular eatery, Gokul Chat, killed 32 people, while 10 more died at an open-air theatre at Lumbini Park, a few meters from the state secretariat. After 11 years of investigation, the court convicted Aneeq Shafeeq Sayeed and Ismail Chaudhary, Meanwhile acquitted- Farooq Tarkash and Israr Ahmed due to lack of essential evidence. This decision was made after recording the statement of 170 witnesses in the case. The judgement against a fifth suspect, Mohammed Tareeq Anjum, who allegedly sheltered those who planted the bombs, would be given on Monday, the lawyers said. The Counter Intelligence (CI) wing of the Telangana Police had investigated the case and arrested five accused, who were suspected to be linked to the banned Indian Mujahideen (IM). In all, eight people were charge-sheeted in the case. 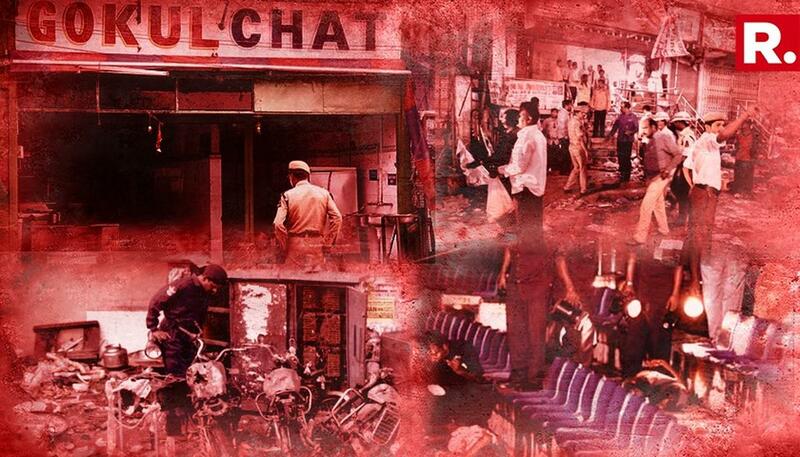 The remaining three accused- Riyaz Bhatal, Iqbal Bhatkal and Amir Riza Khan- are still at large. A day after the blasts, Telangana Police discovered 19 unexploded bombs-most fitted and placed in plastic bags across the city. R Chander, a victim of the twin blasts, said it was unfortunate that the prosecution had taken 11 years to prove the involvement of just two suspects, while other two were acquitted due to lack of evidence. Chander, who lost one of his eyes in the bomb blast, urges the Law Enforcement that all the five accused should be convicted. Law Enforcement must find strong evidence, so that the acquitted, too, would be punished. Times of India stated that such vicious attacks prove that metro cities like Hyderabad and Bangalore, emerging icons of a vibrant nation, are firmly in the cross-hairs of terror groups which have made India a country with perhaps the highest number of civilian victims of terror. India lost more lives to terrorist incidents than all of North America, South America, Central America and Europe put together. The US State Department acknowledged that Indian Mujahideen had engaged in several terrorist attacks in India and had regional aspirations with the ultimate aim of creating an “Islamic caliphate” across South Asia. According to Indian intelligence Bureau, alone Indian Mujahideen was responsible for 10 terror incidents in past 7 years. Repeated terror attacks and lack of significant evidence highlight flaws that exist in India’s ability to provide security and protection to the citizens. It is only a matter of time before another significant terrorist attack plot occurs because of freed terrorists. Lack of evidence doesn’t mean a terrorist is innocent or he/she won’t/haven’t tried to plan a terrorist attack. It is only imperative that the National Security Agency and Counter Intelligence wing of Telangana police embrace the infallible and most upgraded iCognative technology to discover reliable and scientific evidence to convict the two free Indian Mujahideen members swiftly. According to National Security Advisor, M K Narayanan, there are approximate as many as 800 terrorist cells operating in the country. Monitoring these terrorist cells and discovering the evidence is the biggest challenge for Indian Counter-Terrorism forces. For this and every national security case, Indian National Security Agency and Counter Intelligence personnel can find reliable and accurate evidence, all they need to do is utilize iCognative technology by Brainwave Science. Only one advanced forensic tool can reveal specific concealed information stored in the human brain- iCognative technology. iCognative developed and designed by Brainwave Science is an ultra-modern, cutting-edge, user-friendly solution with impeccable accuracy to determine critical intelligence (especially about evidence) hidden in the brains of convicted Aneeq and Ismail and acquitted Farooq and Israr. iCognative technology is so impressive and advanced that it can determine what the perpetrator/s knows and can further identify vital information such as the evidence, location of hideout and mastermind of Indian Mujahideen, financial details and other significant information with over 99% accuracy. This one-of-the-kind technology recognizes that confidential specific crime-related information would only be present and stored in a terrorist or sympathizers’ brain. All the five arrested suspects can deceive other conventional forensic technology but when confronted by iCognative test, they can’t hide any information as there are no question answers, no interviews, no interrogation, no false positives or false negatives, no human right abuse. The unbeatable system analyzes each brainwave response to each specific crime-related information (stimuli), collected during 11 years of investigation, flashed on a screen to each suspect and determines with over 99% accuracy if the information under question is present in the suspect’s brain or not. iCognative is unmatched to any other existing security solution as it guarantees a high success rate and results with an accuracy rate of 99.9%. Once a 45 minutes test is conducted, Law Enforcement personnel would have accurate information to determine the significant evidence, hideout location, masterminds and their handlers. Once such information is availed, empowered intelligence agencies can reverse engineer a complete terrorist network, identify their financing techniques, distinguish between foot-solider and the key member, virtually eradicate the problem of terrorism and help protect innocents in India.